14) On December 11th, 2003, the CSAAB approved the sound prints in WEST configuration; only the City Council of Castelldefels voted against it. A) Which were the sound prints approved ? C) What was the discussion like in this meeting of the CSAAB ? D) How did the City Council of El Prat de Llobregat react ? E) What actions did the City Council of Castelldefels initiate ? During the sixteenth meeting of the CSAAB (December 11th, 2003), the daytime surround sound level of 65dB and nighttime level of 55dB were approved for the WEST configuration (chosen as preferential in July 2003) only the City Council of Castelldefels voted against it. However, just because practically all of Gavà Mar and Castelldefels are outside the GLOBAL SURROUND SOUND AREA does not mean that they are free of noise. On the contrary, yes time has proven that we are outside the surround sound area for the routes in a WEST configuration but we are still close enough that it makes our lives unbearable. 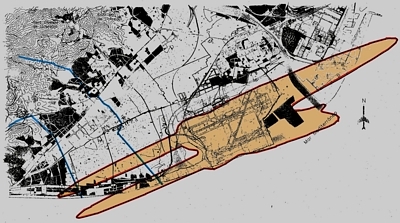 The City Council of El Prat de Llobregat couldn’t be any happier; with the new sound prints and the transverse runway nearly disabled, the airport could almost duplicate its capacity and yet the nearest town, El Prat –which holds the airport within its municipality–, would see how the noise from the planes was dramatically reduced. AVV Gavà Mar’s proposal, which was to be approved some months later in the CSAAB, would reduce noise even more in the town of El Prat –an average of 10dB in the daytime period and to a greater extent in the nighttime period. 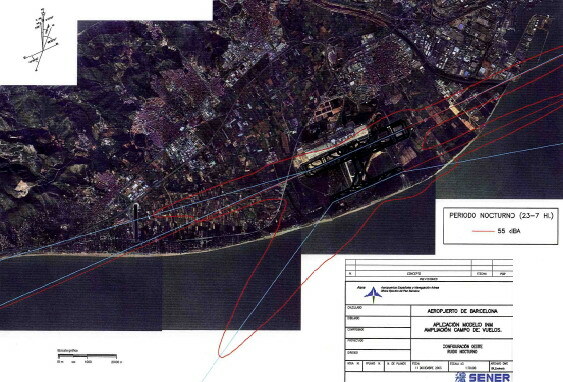 If our proposal would have been considered before, this noise reduction would have been a reality long before. E) WHAT STEPS DID THE CITY COUNCIL OF CASTELLDEFELS TAKE ? 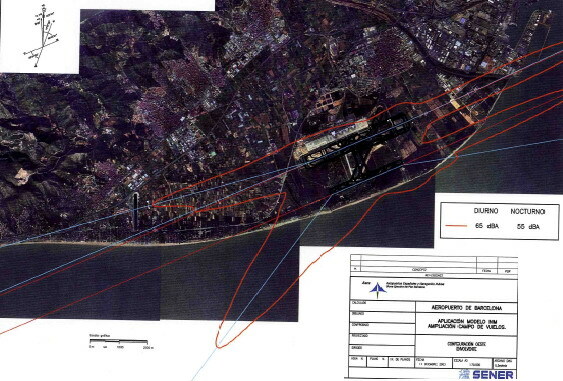 On January 5th, 2004, the City Council of Castelldefels informed the General Management of Civil Aviation (DGAC) about its opposition to the sound prints approved in West configuration. 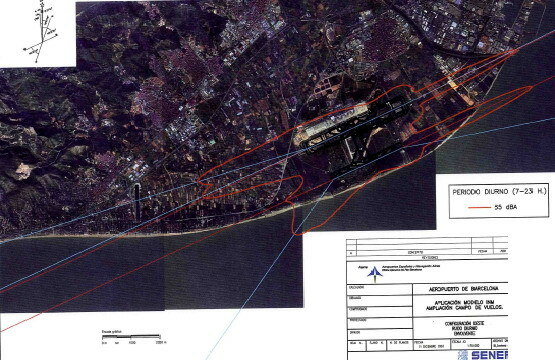 On February 4th, 2004, the Mayor of Castelldefels requested from AENA some information concerning flight operations and claims for the segregated operation of the runways and for the use of the configuration that is less harmful to Castelldefels again. On February 27th, 2004, the City Council of Castelldefels lodged an appeal against the CSAAB agreement by which the sound prints in the WEST configurations were approved. On March 11th, 2004, the 'Ministerio de Fomento' Resources Deputy Director returns the appeal to the City Council of Castelldefels requesting that it be lodged in the CSAAB. On March 25th, 2004, the City Council of Castelldefels lodged a previous requirement before the DGAC and the CSAAB requesting the cancellation of the sound prints approval in West configuration, before taking legal actions. On June 23th, 2004, the City Council of Castelldefels brought the case against the Government and took legal actions against the approval of the sound prints in West configuration by the CSAAB. At the beginning of 2008, the appeal is still alive and the process needs to be entirely repeated because the State attorney was not called in time.